Straight Outta Compton was released to theaters today (August 14) and is expected to bring in $49 million its opening weekend, Vanity Fair reports. The N.W.A film is forecasted to bring in $18 million to $19 million today. The original projections for the opening weekend of the movie were $25 million to $29 million. In early screenings yesterday (August 13), the film grossed $4.96 million. 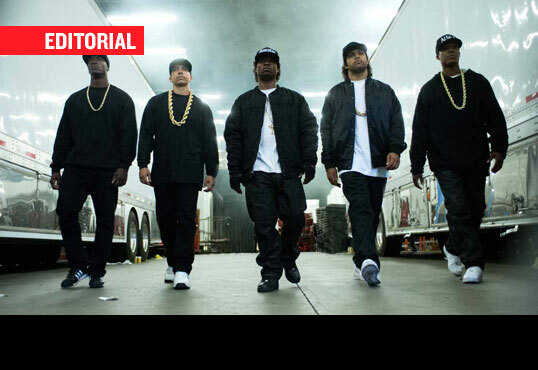 Straight Outta Compton reportedly cost $29 million to make. Dr. Dre, Eazy E, Ice Cube, MC Ren and DJ Yella are portrayed in the film, which depicts their rise to stardom in the late 1980s and early 1990s.